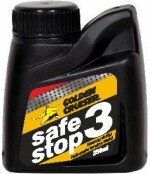 Golden cruiser safestop3 is a super heavy-duty, premium quality brake fluid, which, with it’s high boiling point, offers fail-safe insurance against brake failure. 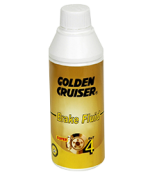 Golden Cruiser Super Dot 4 Brake Fluid meets and exceeds the requirements of FMVSS 116 Dot 4. SAE J 1703, JIS-K2333 & BIS 8654.